Note: If you don't have a Vimm account yet, register one here. Edit your offline image and the name for your guests chatters. Edit your title and the game for your broadcast. Download OBS from their website. 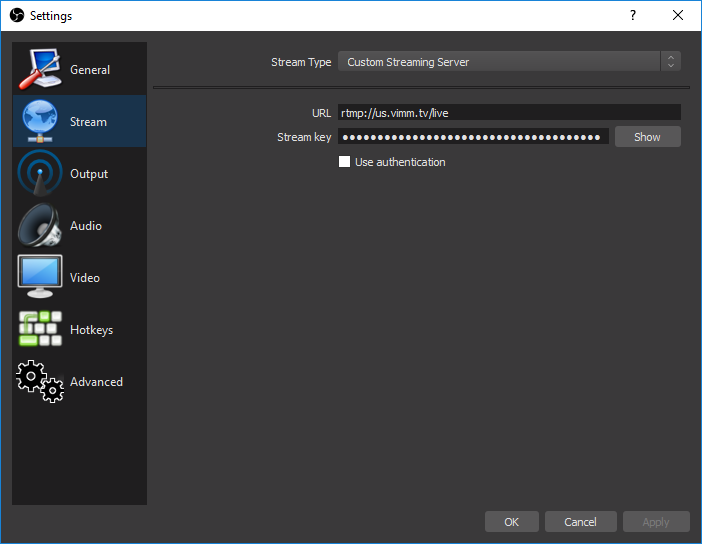 Set Stream Type to Custom Streaming Server and use the stream credentials from Settings > "My Keys". Set Output Mode to Advanced. Set your Keyframe Interval to 2 seconds (Not doing this may result in your stream not working properly). Optional: If you have a Nvidia GPU that supports it, it is recommended to set your encoder to NVENC. 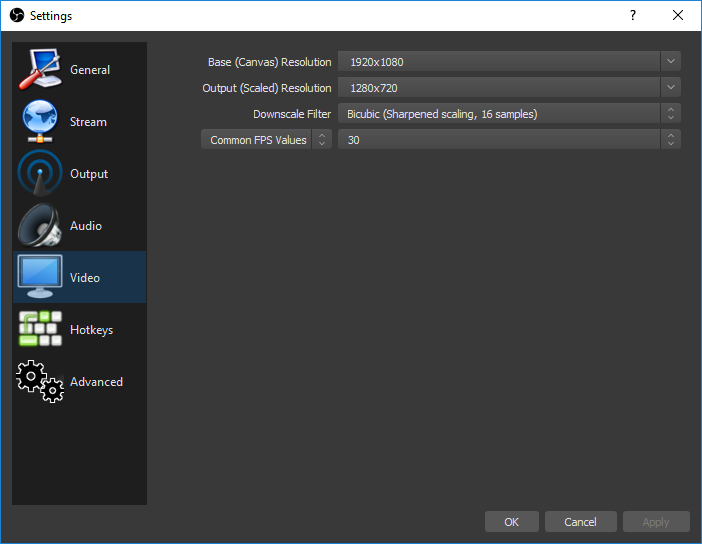 Select your Output (Scaled) Resolution and Common FPS Values. We recommend 1280x720 resolution and 30 FPS. Our servers can handle higher resolution and framerate, but not all viewers will have the bandwidth to handle it. That's it! 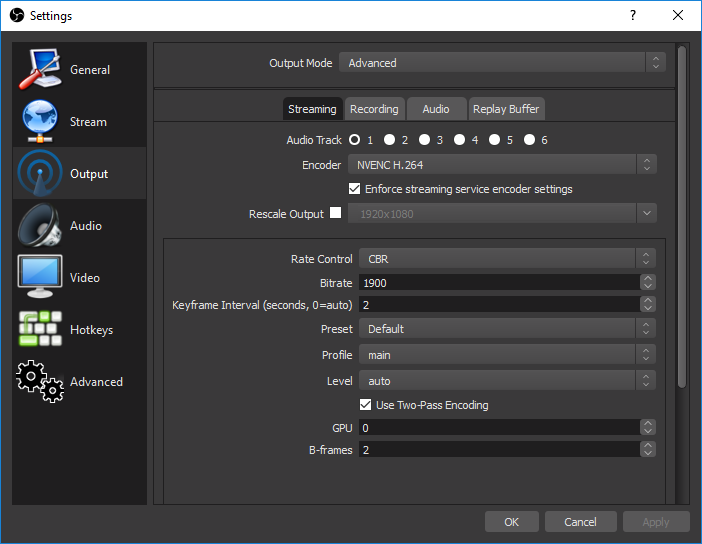 You can now click Start Streaming in OBS and if everything went right, your stream should now be live.